A project looking at links between mental health and terrorism in three English cities has been expanded nationwide after it found a significant number of people referred to counter-radicalisation programmes suffer some form of mental illness. Studies have suggested the prevalence of mental health issues among militants working together on major strikes is very low but a string of killings by so-called lone wolves has fuelled concerns mental illness could be a factor behind some attacks. 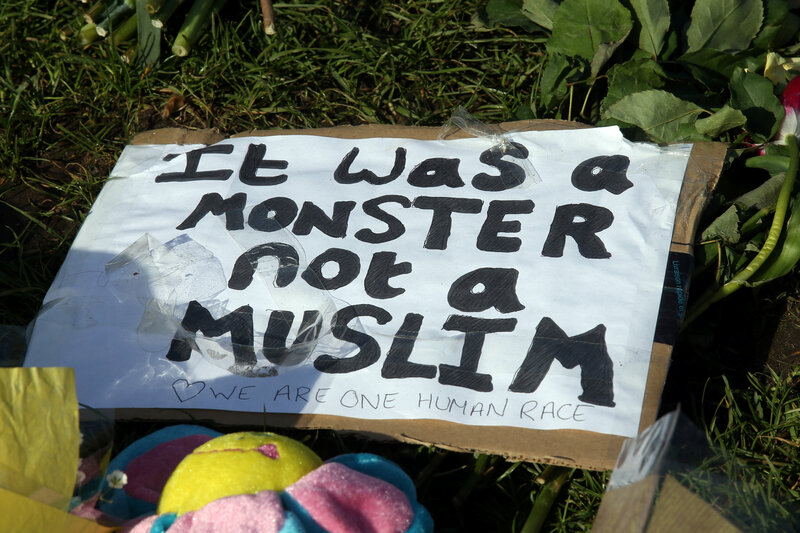 Authorities say some of those involved in four attacks in Britain this year blamed on Islamist militants appeared to people who had self-radicalised via the internet and whose mental state had been questioned. To look more closely at the issue, British police launched pilot programmes in April last year in England’s three biggest urban areas – London, Birmingham and Manchester – to embed mental health experts with counter-terrorism officers. The aim was to give psychiatrists the chance to identify people referred to Britain’s counter-radicalisation programme Prevent who had mental health issues, and treat them. “Anecdotally, I am surprised that there appears to be a much higher prevalence of people with mental health problems than you would expect,” said Professor Jennifer Shaw, the mental health lead for Greater Manchester Police, referring to the people her team had dealt with since the pilot was launched. The hubs are considered so successful by the government they have been expanded nationwide, Shaw, professor of forensic psychiatry at the University of Manchester, told Reuters. But such is the secrecy around the work of Prevent and Channel – a de-radicalisation programme within the overall project – there are few details about its successes or failings and Shaw’s work has not previously been discussed in the media. Some psychiatrists argue that no scientific link between mental health issues and terrorist attacks has yet been established and they worry the programmes risk stimagtising people suffering from mental illnesses. Another psychiatrist gathering data under the pilot programmes told Reuters that Britain’s Office for Security and Counter-Terrorism had told them not to disclose any details of their findings ahead of a final report. Those findings are expected to be among a raft of data about people referred to Prevent due to be released this week. Britain’s interior ministry did not respond to requests for comment. Dr Adrian James, registrar at Britain’s Royal College of Psychiatrists (RCP), said the link between mental health problems and terrorist acts had not been established. He said a lack of evidence, partly because militant attacks were so rare, was at the heart of the problem, adding that an unnecessary level of secrecy about Prevent also meant many psychiatrists viewed the programme with suspicion. Past studies have disagreed about the significance of mental health issues among lone wolf attackers, with some academics concluding that such illnesses are blamed to try to explain often complex reasons for attacks. British police decided to launch the pilot programmes because they believed that roughly half the 7,500 people referred to Prevent each year had a broad range of mental health and psychological difficulties. Those working on the pilot projects hope the information being gathered will now help experts assess any possible links between mental health issues and attacks. Shaw said determining who might be a potential attacker from mental health problems alone was not really feasible and fraught with problems, but she said it might be possible to ascertain the characteristics of people most likely to be at risk and ensure they got appropriate help. “That doesn’t mean you can’t manage the risks. Trying to nip it in the bud, that’s all you can do. But that’s good if you can achieve that, it’s going a long way,” said Shaw. Police officers say they have struggled in the past to reach medical practitioners when they had concerns about some people and Shaw said the pilot was designed to address those worries. According to one of Shaw’s case studies, a man went to a hospital saying he monitored Islamic State websites, had been walking around the city centre working out how many people he could kill in a gun attack, and wanted to behead his mother. Shaw’s team discovered the man had no contact with mental health services and no diagnosis of any illness. An urgent assessment concluded his anger stemmed from experiences in his childhood and safeguarding measures were put in place. British police have no doubts about the importance of the work, especially given the global shift from carefully planned spectacular attacks by militant networks to unsophisticated, strikes by individuals using cars and knives as weapons. Mark Rowley, Britain’s most senior counter-terrorism officer, told the British Medical Journal in April that a disproportionate number of suspects in 13 attacks foiled by British police since 2013 had mental health issues. “If part of the terrorist methodology is to prey on the vulnerable … then it stands to reason that there will be people with certain mental health conditions who will be … susceptible to that,” he said. “Radicalising and inciting someone who is vulnerable to go and carry out some ghastly attack seems to be part of their tactics, and that has brought in a whole load of vulnerability issues, including mental health, that we now have to wrestle with,” said Rowley. A study by University College London’s (UCL) Department of Security and Crime Science looked at 55 attacks involving 76 individuals between May 2014 and September 2016 where reports had shown the perpetrators may have been influenced by IS. The study found 34 percent of those involved in attacks inspired by Islamic State – rather than actually directed by the militant group – had mental health issues. Health experts estimate about one in four people will suffer some form of mental health issue and those with mental illnesses are generally less likely to commit violent crimes than the overall population. Shaw said those with mental health issues and developmental disorders referred to her team at Prevent were more likely to be suffering from psychosis and autism, adding that people with serious mental illnesses often had tiny social networks. Psychiatrists worry that all people with mental health issues could be stigmatised and considered potential militants, possibly deterring them from seeking help. Prevent, one of the four strands of Britain’s counter-terrorism strategy known as Contest launched in 2003, has also been dogged by claims it is used to spy on Muslim communities. A government edict in 2015 instructing public bodies such as schools, health workers and universities to raise any concerns they have about individuals with the authorities has exacerbated those concerns. Shaw acknowledged more work was needed on the outcomes of their mental health interventions under the Prevent pilot programmes to determine what made a difference. Asked if people her team had treated might have committed violent acts if their conditions had not been addressed, she said: “That is the obvious question. You can’t say that in any kind of scientific way. “We’re attempting to try and get at that. Is it completely to do with their mental illness, half to do with it, or not at all?” said Shaw.